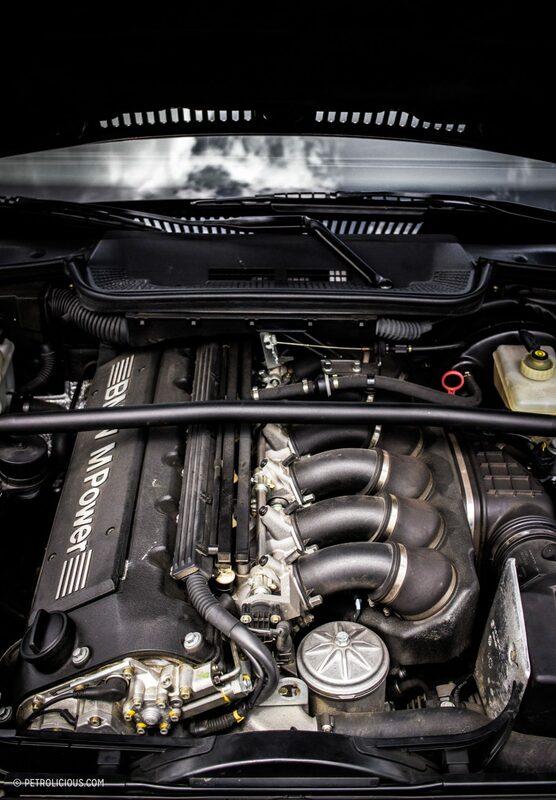 What is a “dream car?” Does it need to be packing huge turbos or a meth-head of a motor (or both) amidst all-eyes-on-me styling and be completely ludicrous and fast and expensive? Does it have to be something we can typically experience only when we’re asleep? The term certainly implies as much, and there is probably a reasonable argument to be made that says the cars we pine for the most must reside in the mines of unobtanium, but I don’t think that’s true. Sure it’d be nice to find myself in an F40 with the keys already in it and the owner nowhere near it, but in such a situation there would still be the nagging little negative thoughts to get in the way and keep reality at the forefront: You don’t belong in this car, why are you driving this, you lucky idiot. Okay, I’d love to be in that position, but still, I think it would be too much. 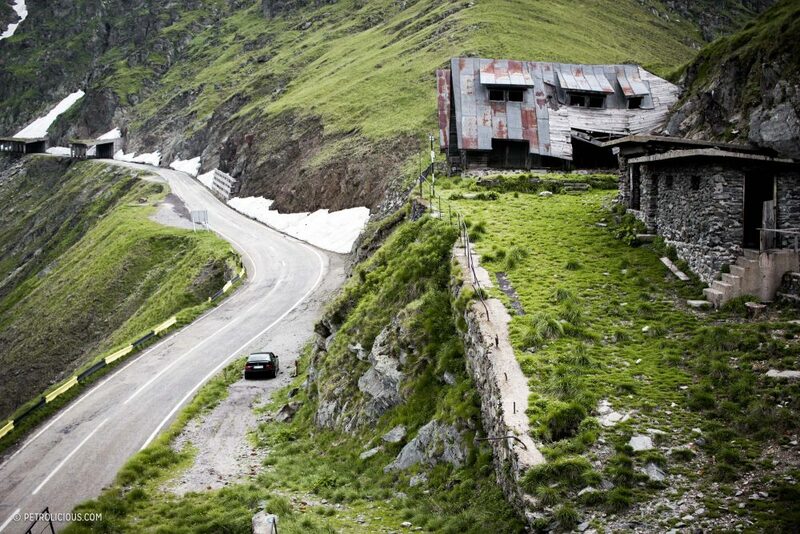 Too much car, too much pressure, too much of a task to simply enjoy it. The buffet of thoughts and inputs that accompany vehicles like that that aren’t yours is daunting and it reveals nerves and doubts you’d rather not confront. Even owning the thing and not having to think about that aspect, where and how do you savor it without worry? Whose dream is it to dehydrate and feel your mouth go dry as you sweat every single bump in the road and every driver on it, including yourself? I suppose you can bring cars like that to the track, and there are absolutely no negatives to be found there, but is that enough? It might be, but I think a true dream car is something that should make you happy every damn day of the week. 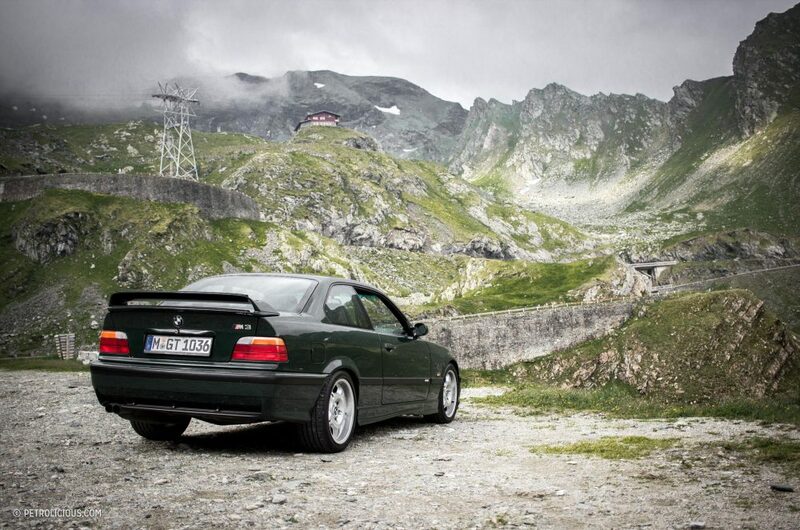 The E36 M3 is a car that can do that, and the E36 M3 GT does an even better job. 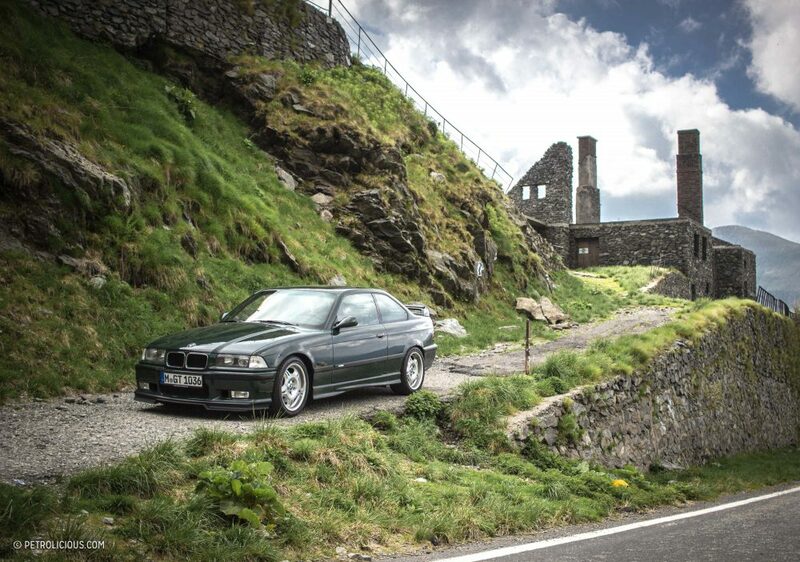 Produced in limited numbers to satisfy homologation requirements, the winged and splitter’d British Racing Green Bavarian box provides so many instances of bliss. Walk around it and get inside to hunt for the deviations from the standard version—the badges and bodywork and little trim changes and plaques and fabrics; get greasy and go underneath something that doesn’t resist the average person’s mechanical abilities; drive it on a track and experience what a perfectly balanced car can do against those with higher horsepower and less harmony; and then drive it away only to sit in highway traffic with the temperature needles not once budging from their intended angles before parking it in your garage and giving it one last look for the night before you commute to work with it in the morning wearing the same smile on your face. 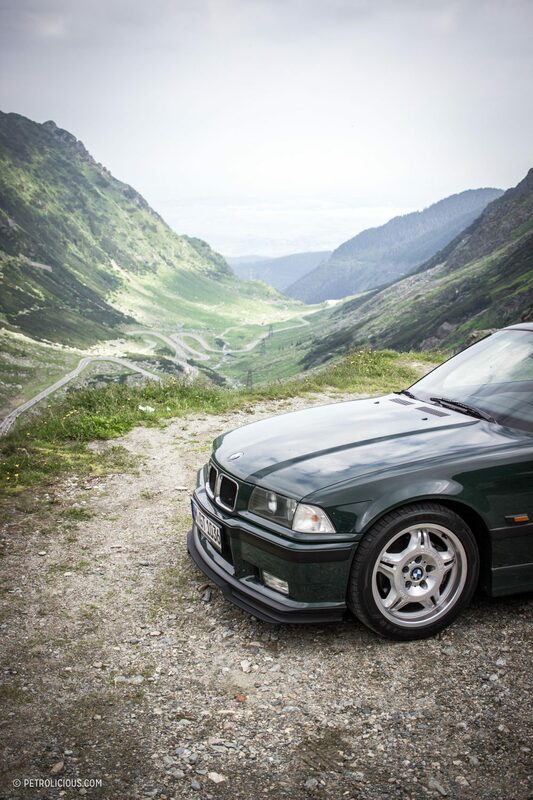 To be able to thrive in so many ways is not a mark of compromise, it is a reminder that sometimes you can have it all, and not for all the money—the M3 is equal parts DTM and down to earth. It’s happy to eat up the track and then pick up groceries on the way home, blending in to traffic and standing out only to those who know. 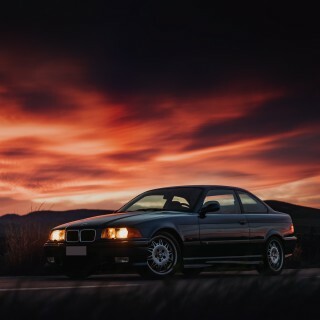 The E36 generation 3-Series models live on one of the broadest spectrums; there’s little that’s less appealing than a neglected once-red-now-pink 318ti with faded grey trim and mismatched headlights and an interior that’s falling apart, and on the other end there’s not much out there that can match the ‘90s excellence of a European-spec M3 owned by someone who cares about it and maintains it accordingly. That beat-up Compact could make for a fun 24 Hours of Lemons entrant or a demolition derby car (it already sort of looks like somebody reversed it into a wall), but it’s not even on the same horizon as something like this GT with only a few thousand kilometers clocked in its life. 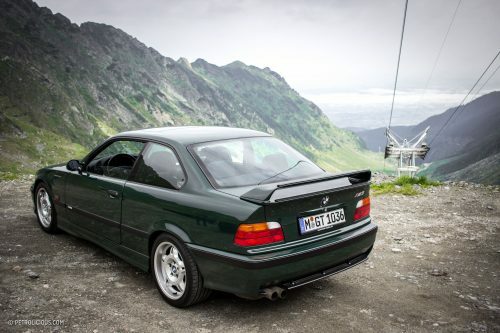 As an owner of a US-spec 240hp M3, the chance to drive BMW Classic’s still-ripe, European-market-only 295hp special edition M3 GT made for one of the best days of my life. So then I’ll get on with it: what was it like to drive? Though I should preface this first. BMW Classic provided this car and its fuel, and they kept it nice and clean for photos for four days. But there was a lot more they didn’t do. They never told me what to say about it, they never told me how to drive it aside from being sure to bring it back in one piece, and they never gave any deadlines or word counts or photo requirements. 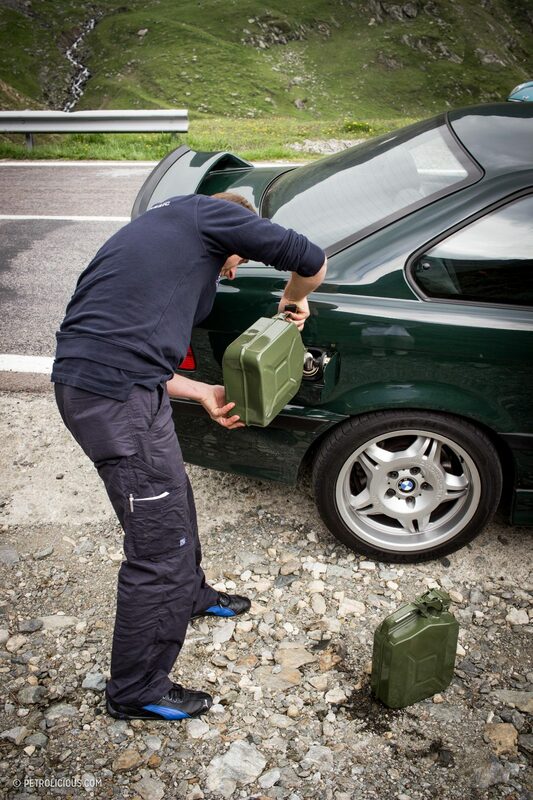 The fact is, the following is exactly what I’d write if I found an E36 M3 GT on the side of the road in this condition. 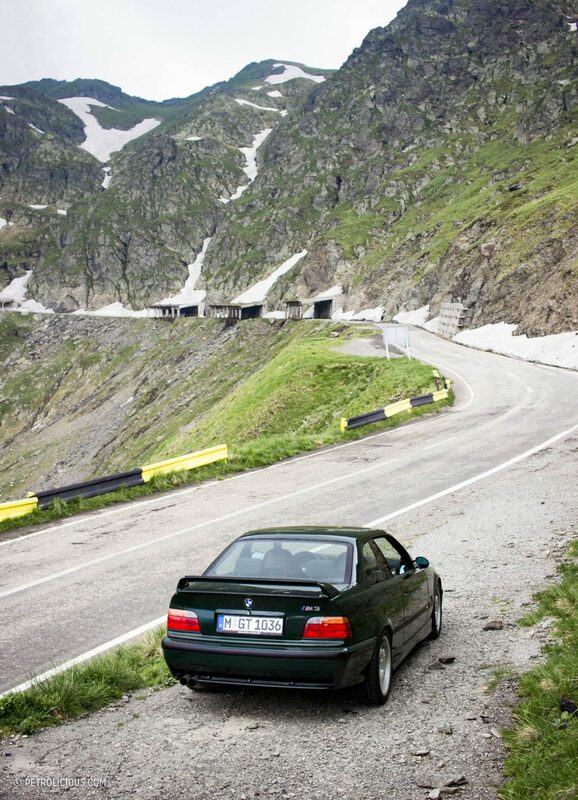 I don’t know of any reality that exists where such a rare machine would be in a situation like that, but I’d like to go there, preferably by way of a point-defeating E36 M3 GT. Here’s what that would feel like. This car is caffeine. It’s quick. Everywhere. Into the turns and out of them and on the straights in between. Before coming to that conclusion though, I began the drive on a healthy three-hours’ night sleep (I guess that’s more like a nap? ), so even though the excitement felt when settling into the Mexico Green-centered “Vader” front seat (it’s a mystery to me as to why the green paint is “British” and the matching green leather is “Mexico”) was enough to wake me up immediately, I didn’t want to start leaning it aggressively through the curves until I got a bit used to an M3 again after having spent the last week driving a rented front-wheel drive Seat. After patiently watching the oil temperature gauge and waiting for it to enter the ideal operating zone, the first trip through the gears was made. The acceleration is markedly different from the US car I’m used to: that one has some immediate thrust that then kind of recedes as the revs climb, but this 3.0L with the GT’s more aggressive camshaft profile (compared to the standard European motor, let alone the US-spec), was much more like an early M (or more accurately, Motorsport) motor in that it just keeps building until you shift and start the process all over again. It’s the kind of drawn-out event that makes you smile when you first floor it, and then that smile gets wider and your eyes do too and then you say a gleeful expletive right before redline. Even in this specification with the shorter final drive ratio and the cams and the ECU tuning, it’s not going to be able to keep up with a newer car like an E46 M3, but it feels like just the right amount of speed for this one. It’s period-correct pace, and to be honest, any more power would probably upset the experience and detract from another piece of it. 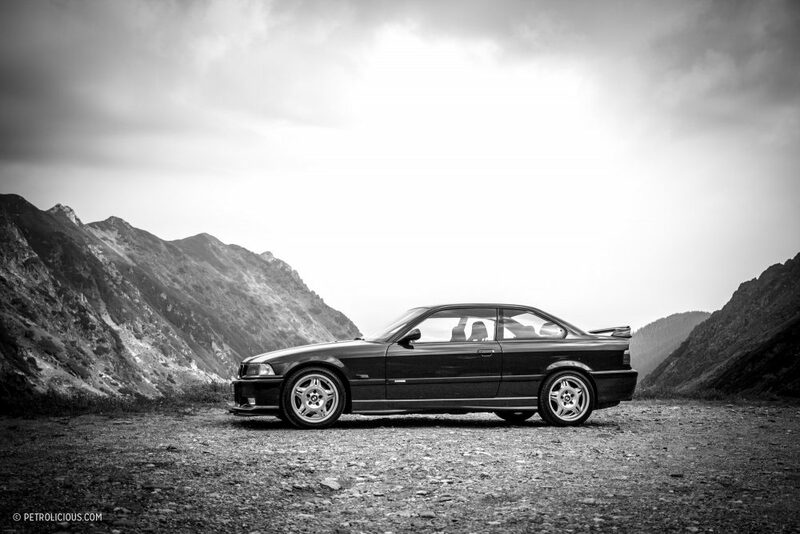 In stock form like this—oh how rare that is for an E36 M3!—you’re never getting caught up in the acceleration to the point where every approaching corner is an exercise in braking way too late. 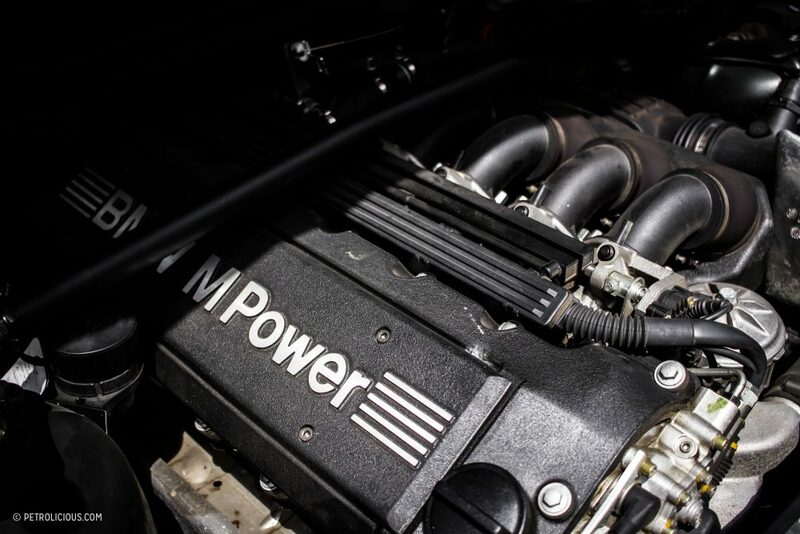 The motor fits into the larger package that makes the M3 so easy to drive quickly; every aspect is content to blend in with the rest. Nothing stands out, but that doesn’t mean it’s boring, just that it’s balanced—the whole car stands out. If there were an extra-special aspect though, it showed itself in the corners. It’s not like I drove it hard enough to effectively exercise the dual-pickup oil pump, but the fact that you know that such a thing has been fitted to this car inspires confidence in its competence and ability to be tossed into a turn and come back out pointing in the right direction. 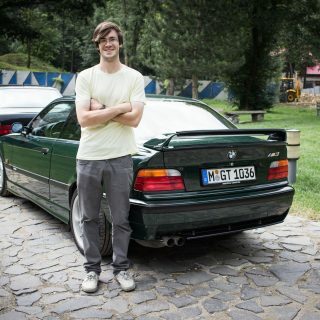 And as to be expected from a BMW owned by BMW, everything was as it should be—though the chassis is really receptive to modifications, it was much more fun to be behind the wheel of something completely OEM. The brakes made me feel safe, did not come on too strong too soon nor too little too late, never seemed to fade (though again, I wasn’t hot-lapping either, so take that for what it is in context), and even when staying on them after the initial rotation into the corner, the car never tried to resist the turn-in. 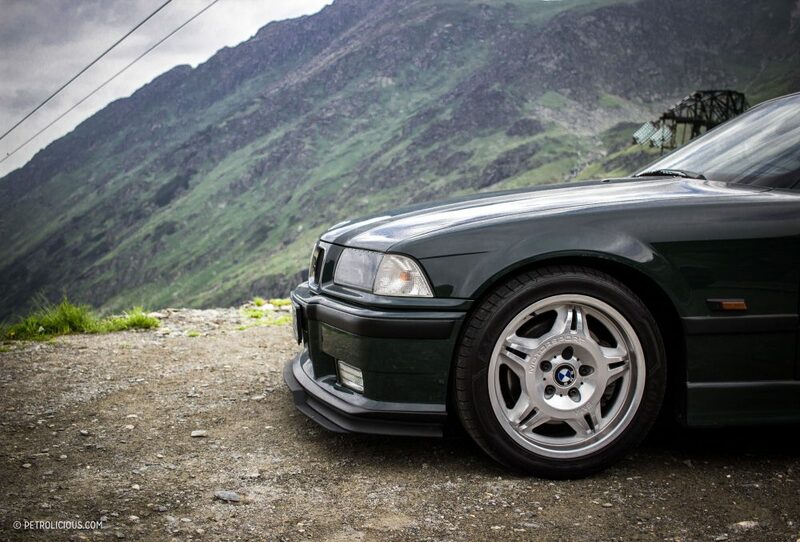 People say the E36 is prone to understeering before oversteering, and I’m inclined to agree with that a little bit. It never felt loose. At the same time, it didn’t plow much either, and these were not exactly lazy curves it was being put through. 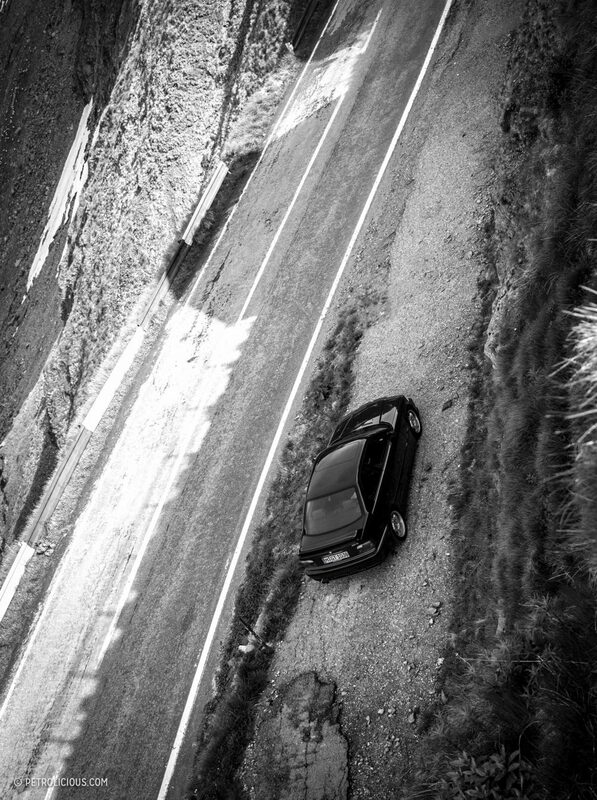 The car would just lean a bit initially and then more or less hold that position until very mildly snapping back to being parallel with the road once again on exit. Later on in the drive, I felt like I’d been much too cautious with the entry speeds earlier because I found myself adding to the throttle well before a properly-executed corner would require it. After realizing just how quickly it could move without becoming jostled or upset in the slightest, it became just about the most fun I’ve ever had in a car. You know how fast new cars supposedly make average drivers feel like superheroes? 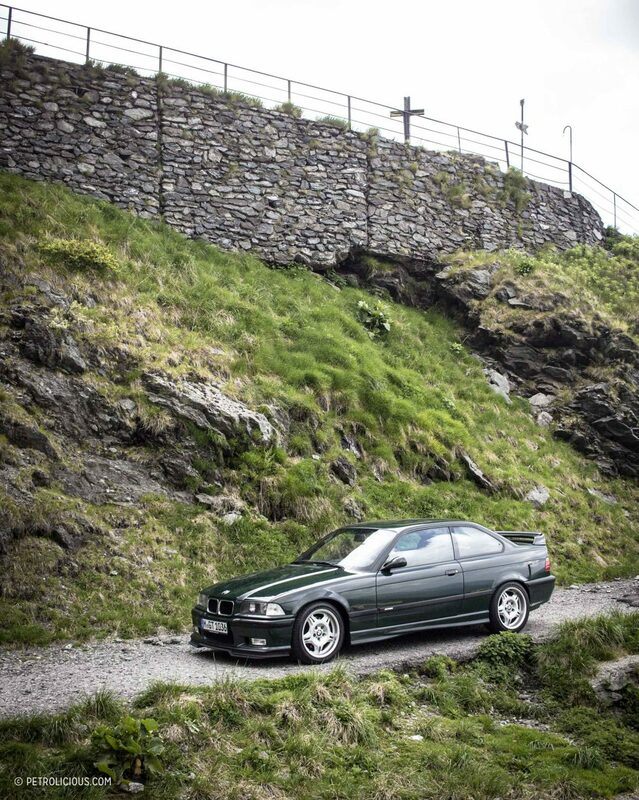 This M3 does a better job of imbuing that sense of skill than any Nissan GT-R. In something like the Nissan you’ll surely be turning faster times, but you aren’t really doing that much; it’s like a really good digital camera that you just point and shoot and then hand the result to someone who’s a whiz in Photoshop: it comes back looking great, but you don’t really feel like you accomplished anything on your own. 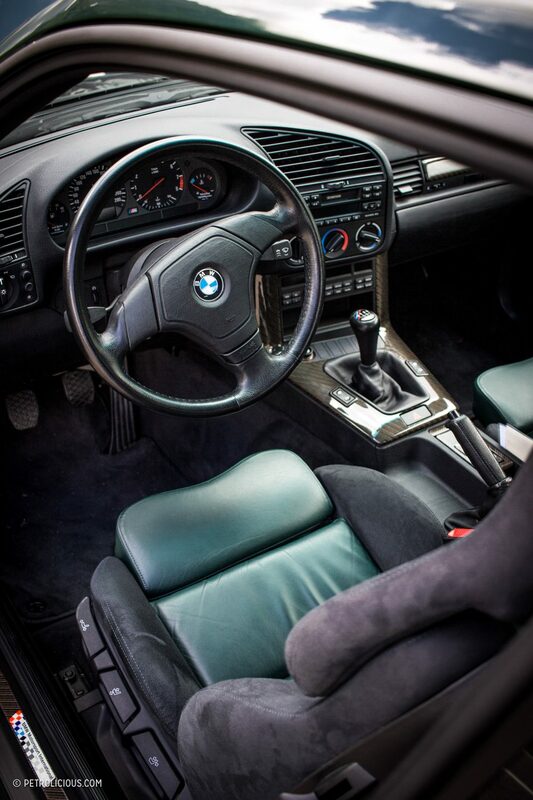 The E36 is just old school enough where you can still feel the road and talk to it though the steering wheel. You feel the weight of the car, and it’s not heavy, but its presence and what it’s doing at any given time isn’t hidden from you by computers. Driving the M3 GT fast is the kind of experience that makes you want to improve your skill, not the car’s. A modern sports car leaves you thinking Wow, how’d it do that?, this one is more like, Hell yes, I did that. If it isn’t yet clear enough, I like this car. 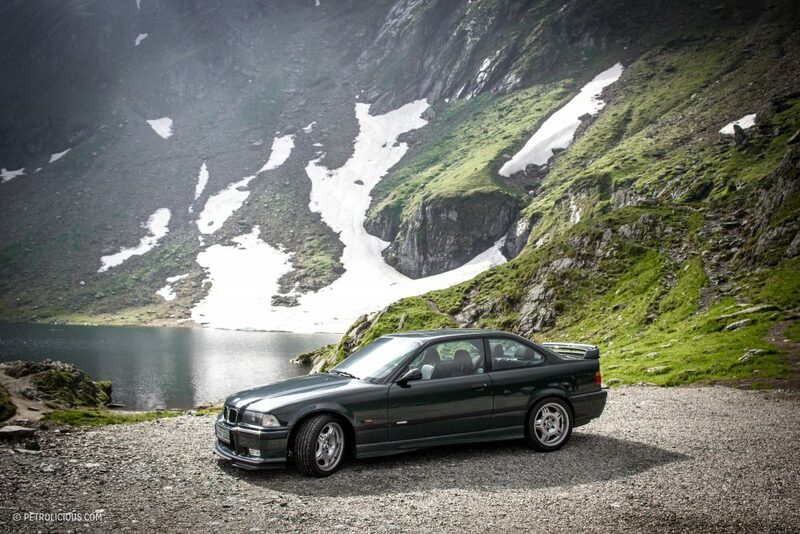 It’s much more capable than the E30 M3, and it’s much more manageable than the E46 M3, and beyond the handling characteristics and the engine’s performance (in GT guise it just barely missed becoming BMW’s first production engine to achieve 100hp per liter), and its appearance is a paragon of the decade of sports cars that it dominated. As touched on earlier, the design is at once very recognizable to the enthusiast eye and yet invisible to the uninformed. The slab-sided body features a rulered crease that begins at the front indicators and then shoots rearward to the taillights with a mild upward slant that lends a restrained but evident rake to the car’s profile. Also noticeable from the side view is the placement of the cabin, which is pushed deceptively far to the rear—just look at the depth of the trunk lid compared to the hood. It’s not like you’re driving the car from a vantage point where you can’t see over the front, but it does seem like the cockpit’s been pushed back more than you’d expect once you really look at it. The twisted side skirts and the sweptback twin-stalk mirrors, while not the best for visibility, add to the look that the car’s extremities are being subjected to some massive hair dryer. Even the front end sort of resembles the squarish face of somebody experiencing extreme Gs. 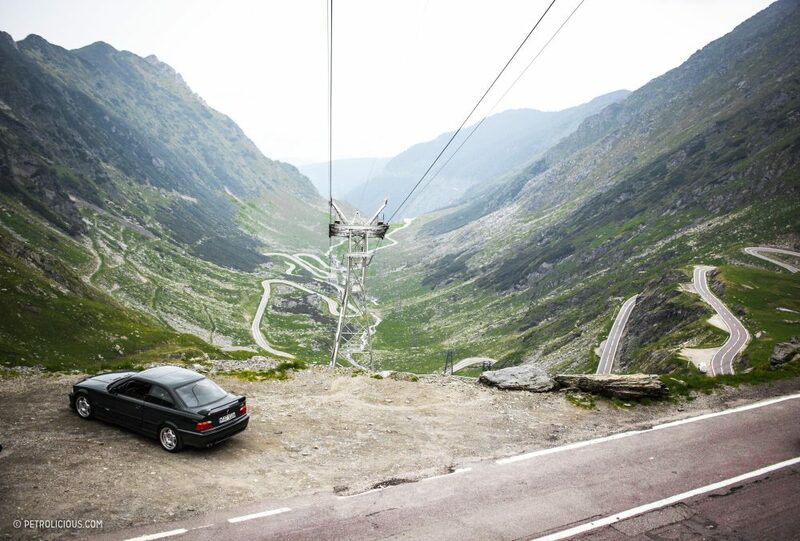 And that’s the best view of the car: straight on. It’s a wall of rectangles up there. The headlights and BMW’s ever-present twin kidneys between them are rectangles (all 356 of the M3 GTs are pre-facelift cars, which is a far cleaner look featuring the thinner, less stretched-out grilles and more upright nose panel). The bumper cover’s overall shape is one big rectangle. The fog lights and their adjacent brake-cooling ducts are smaller ones, and of course there is the diamond-mesh-filled maw in the middle as well. All rectangles. 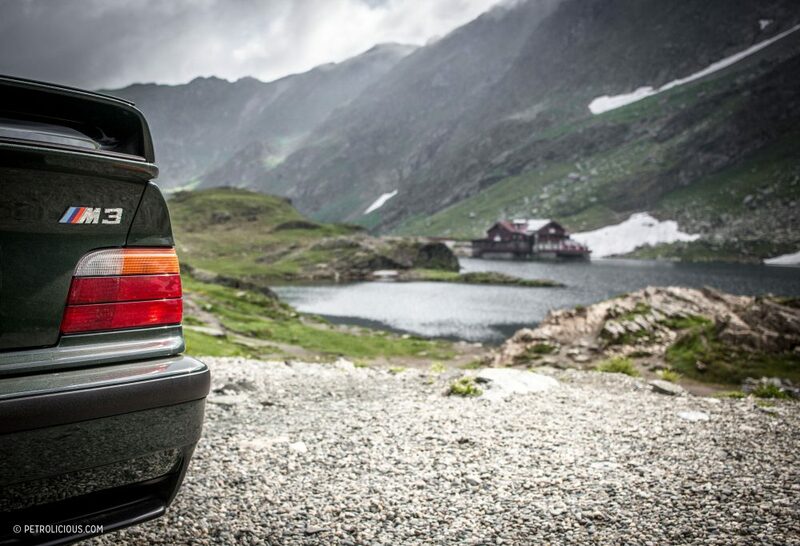 The nose of the E36 is more or less an example of rectangular fractals. All these hard lines look very purposeful and as a whole they evoke the era of squared-off and pissed-off touring cars perfectly. 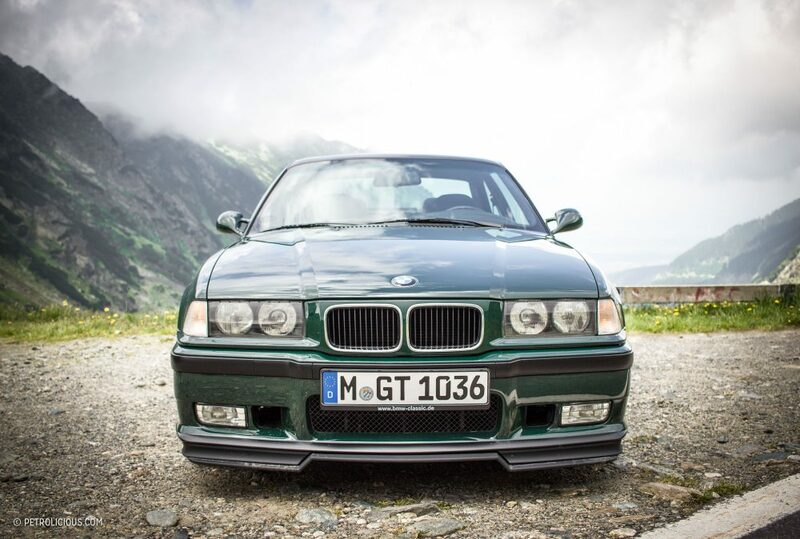 This is true of all E36 M3s, but on the GT version there is also an adjustable splitter—it can be slid inward to become almost flush with the painted portion of the bumper’s lowest edge, or it can extrude to look like something designed to chop through ankles—which only furthers the appearance that this is a road-legal DTM machine. The other GT-specific addition to the body of the M3 is of course the two-piece rear wing. 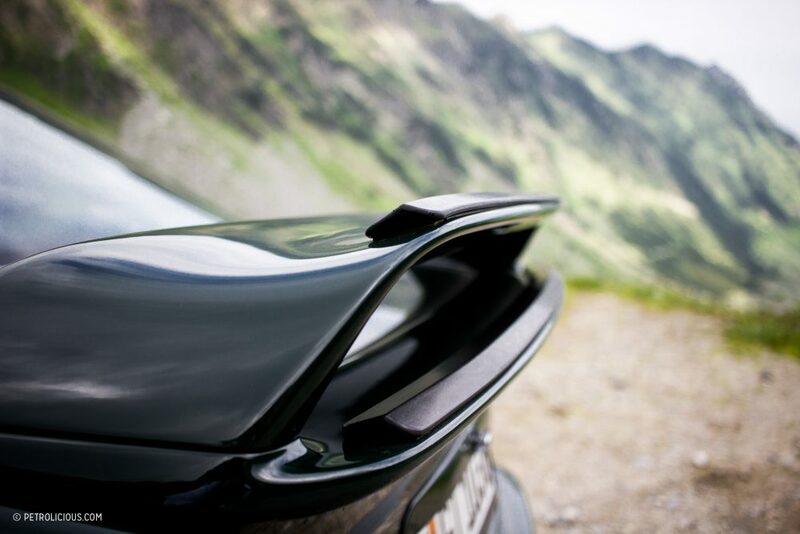 Without this, the trailing edge of the car’s horizontal plane already extends out over the rest of the rear end, but the spoiler adds even more to this overhang with its base mounted in such a way that about a quarter of it is hanging off the back unsupported. 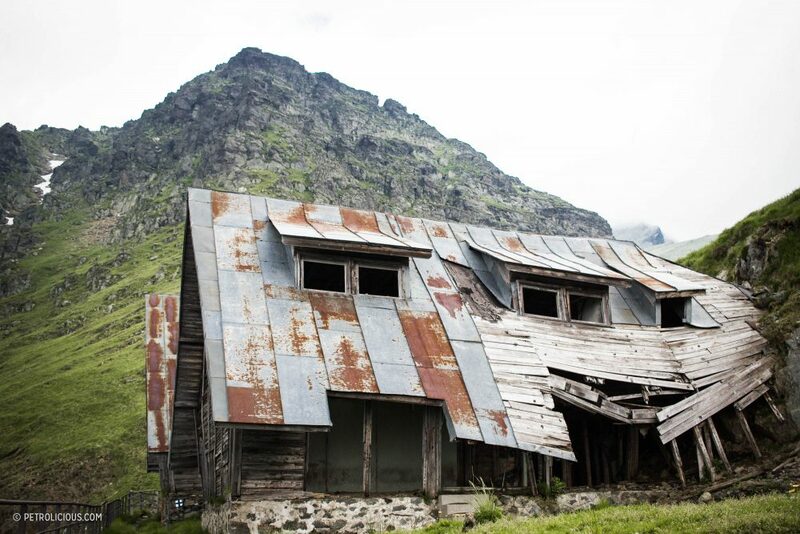 This too is in line with the blown-back look of the exterior mentioned above. And where the outside is mostly straight lines, the interior is an exercise in contour. 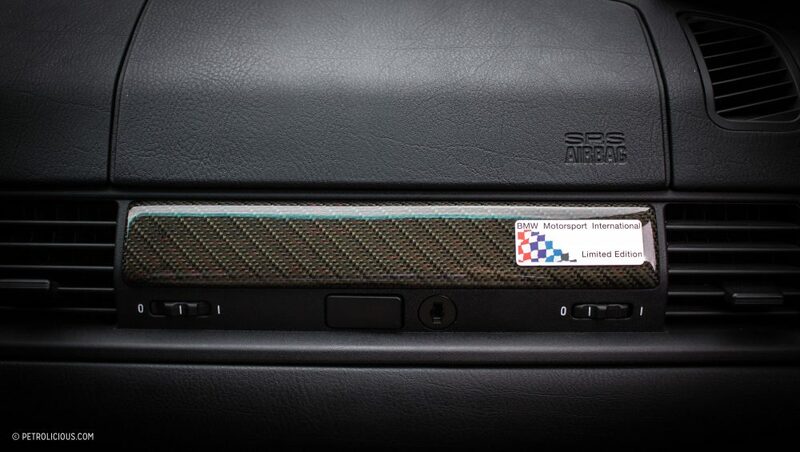 There is a lot going on in here; there is carbon fiber overlaid on the console, green leather paired up with dark grey Amaretta on seats that look like they’ve taken LSD, a massive arched air vent above a completely Casio-like command center stacked with buttons and dials, big ovoid swaths of more green leather on the door panels, and of course, fist-sized visibility out of the sculpted rearview mirrors. The cockpit is very round in contrast to the exterior encasing it, but it works. 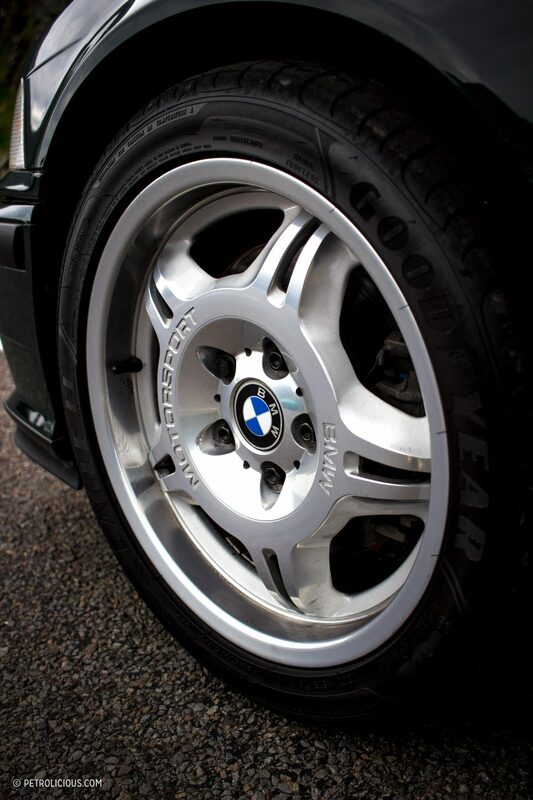 This blend of design is juxtaposition in cooperation; the E36 represents ‘80s angles and ‘90s curvature simultaneously. 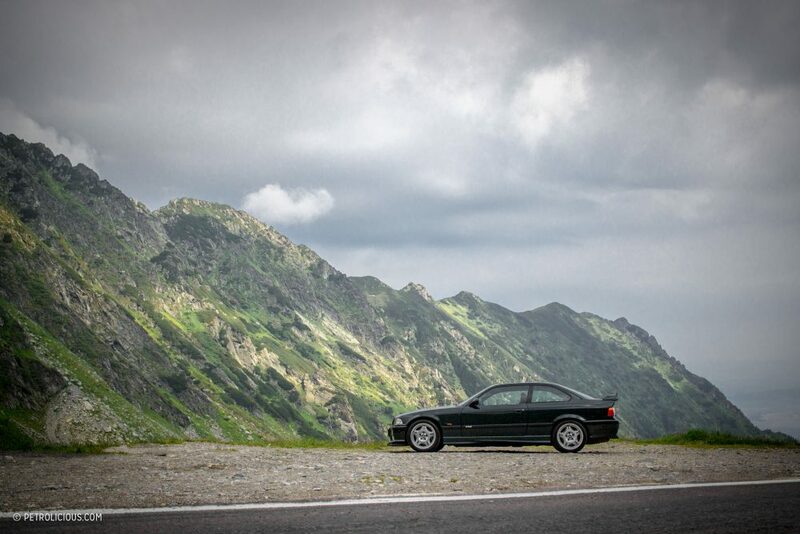 I could have spent many more hours driving this car and then parking to admire it, especially on the beautiful (if a bit bumpy in places) Romanian mountain ribbon called the Transfăgărășan, but the fact that I was able to have any at all is something I’ll always be grateful for. Meet your heroes. Dreams do come true. 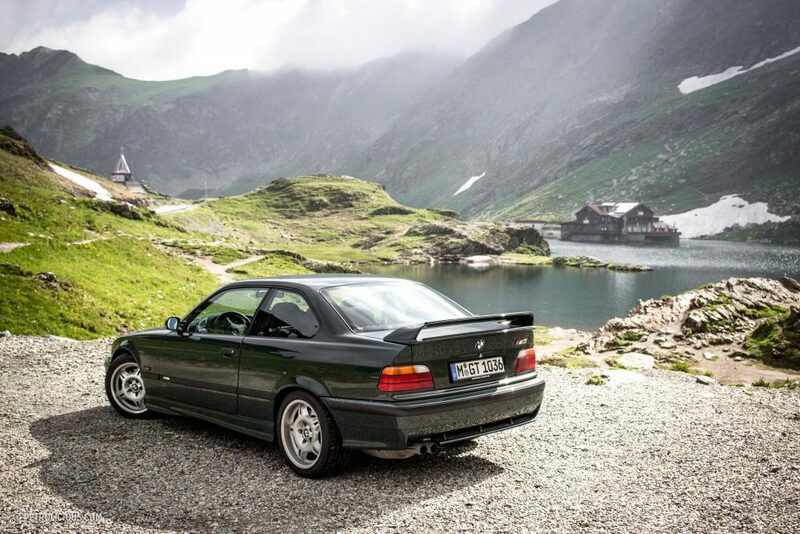 Featured What Is The Ultimate 'Ring Tool: BMW M3 or Porsche 911? 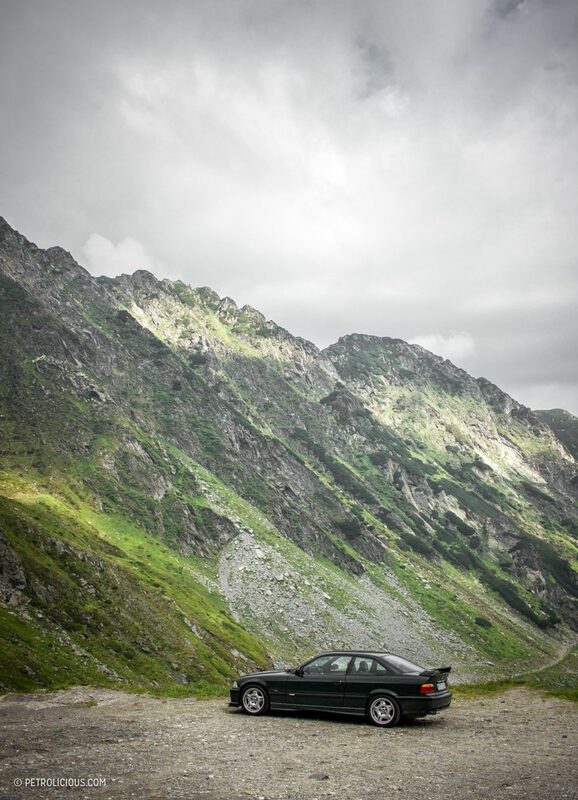 kudos on a great car, scenery and photos. 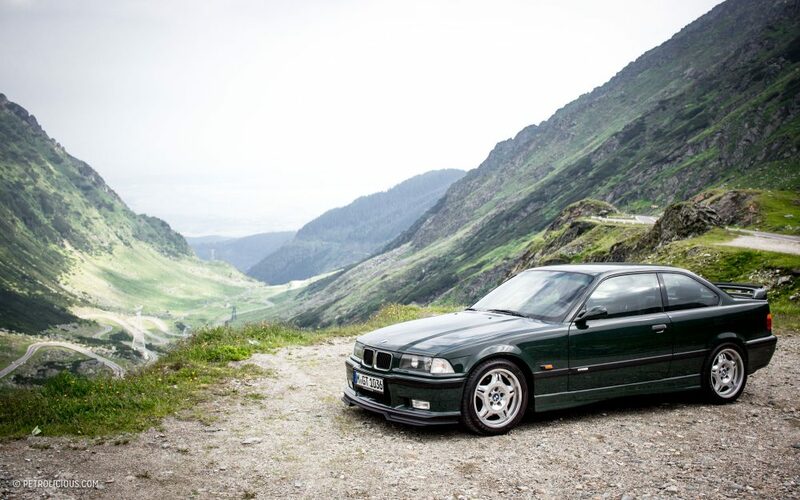 the e36 m3 is a much under-rated car, fun to drive and still cheap enough to get a bargain. Exactly why I love driving my vintage car more than my modern one. 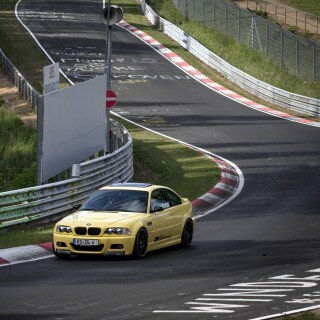 I miss my E36 M3. Fun driver and not too laden with gizmos yet. Great writing and some wonderful pictures. 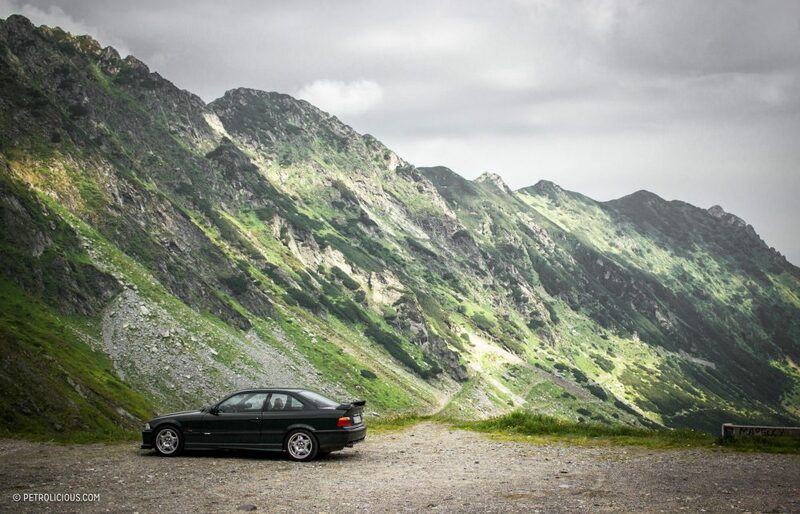 I know exactly how you feel about this car because it is precisely how I feel about my E46 M3 – fast enough to be fun but not scary – practical enough to be used on most occasions but special enough on those rare occasions – good looking but not brash. Love it! 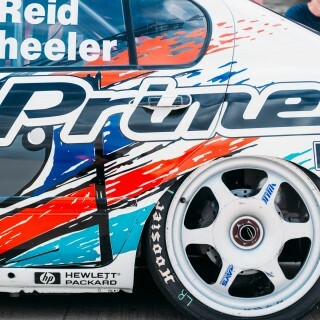 Petrolicious is becoming the first website I look at when surfing the world wide web recently Alex, fantastic articles, loving all this Bimmer stuff!